Charlton Steer; Dijksteel, Bauer, Pearce (C), Solly; Bielik, Lapslie (Marshall, 82), Aribo, Ward (Hackett-Fairchild, 89); Ajose (Fosu, 71), Grant. Bristol R Bonham, Leadbitter, Lockyer (C), Craig, Upson (Lines, 74), Sercombe, O Clarke (Rodman, 65), Payne (Bennett, 65), Nichols, J Clarke, Martin. 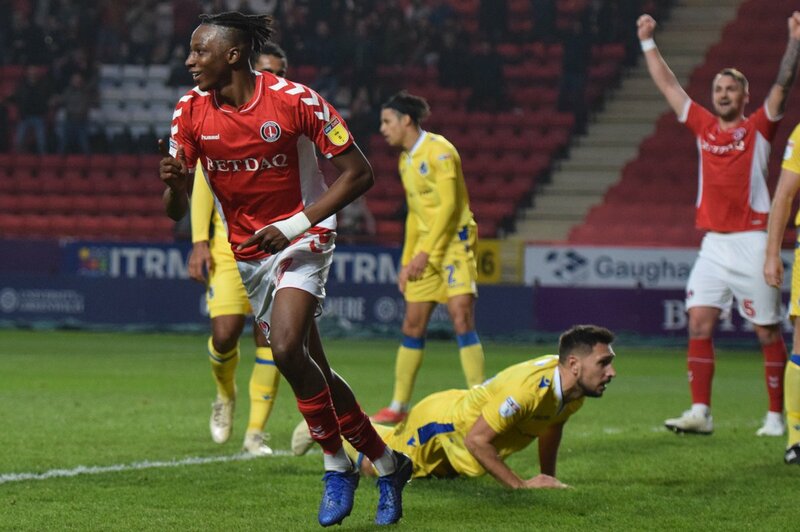 Three league wins on the spin now as Charlton secured another victory whilst not at their best. Lyle Taylor was suspended and missed, yet somehow the Addicks still managed to score three. An injury time walk in from Karlan Grant while the Rovers keeper was up for a corner flattered the scoreline, but the highlight of the game was a brilliant take down and finish from Jamie Ward following a long drop kick from Jed Steer . Bowyer: "Sometimes it is good to win ugly. It’s not going to be beautiful and pretty every game, especially here. Teams are just going to come and make it difficult for us and Bristol did that. In the first half hour they couldn’t get to grips and then they just made it difficult and every time we went past them they fouled us. It was just an ugly game, it was stop-start, stop-start and they’re the ones that we wouldn’t have won before. @Blucher : A pretty poor game but a deserved three points against a weak Bristol Rovers team. A good first 25 minutes but we dropped off and I felt that we were a little fortunate to be ahead at the break. The second half was scrappy and the fear was that the lack of a third killer goal might lead to a late siege and and equaliser. Fortunately, Rovers were largely powder puff and Steer’s goal was never seriously threatened - although it didn’t feel like that in the last 10 minutes. I thought that Steer did very well, with an excellent save after his assist for Ward’s goal, but there weren’t really any other standout performances. We were a little disjointed in midfield, with Aribo, Bielik and Lapslie all having distinctly average games. We certainly missed Josh Cullen’s overall quality and ability to knit the play together. Jamie Ward had some good moments, even if a number of his flicks and first time balls around the corner didn’t quite come off. His delayed departure from the field was a close second behind his goal in terms of sheer panache, with the removal of his shin pads the cherry on the cake. I’m struggling to remember when (if ever) we had a wind up merchant in his class. Up front, we were largely (and predictably) blunt and lacking in ideas and focus in Lyle Taylor’s absence. Happily, he’ll be back on Tuesday and we are another three points to the good in his absence. Three tough successive away games now follow in the league before we entertain the Dons and our friends from the Medway Riviera prior to the punishing Christmas and New Year Schedule. Let’s hope for a decent result at Burton to consolidate ourselves in the top 6 and get a little closer to the leading pack.